Yeah, yeah – I know I’ve been slacking this week. I’ve been working my tail off, but I’m suffering from project A.D.D. I have half a dozen projects in work, but nothing completed…until now! Last week I didn’t have a bathroom makeover feature…because I didn’t have either of the remaining projects finished! 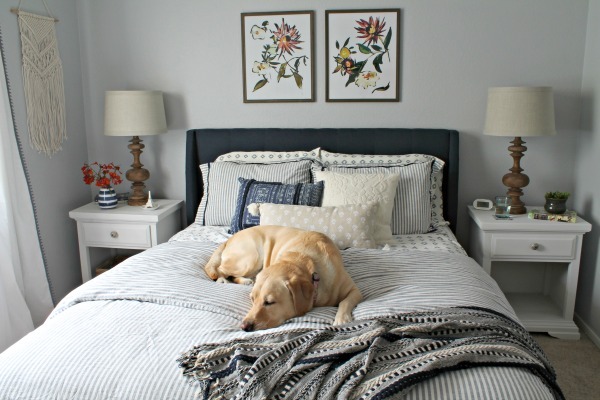 Now they are both done so this week I’ll be sharing 2 bathroom makeover projects! If you missed the previous parts you can read them here, here, here, and here. Today we’re talking trash cans! Last week it was hampers, this week trash cans…exciting topics here lately! I’ve been looking for a trash can for the bathroom for months now, but I could never find exactly what I wanted. Last Saturday I was wandering around Hobby Lobby (surprise, surprise) and I found this raw wood trash can and “light bulb” (as Gru from Despicable Me would say). Duh! I can make a trashcan! 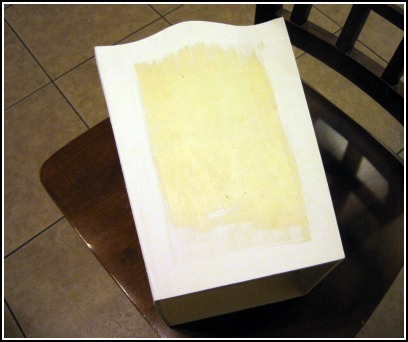 Paint the inside and outside of trashcan. I only painted the edges of the outside because the paper covers the rest (and I was running out of paint). 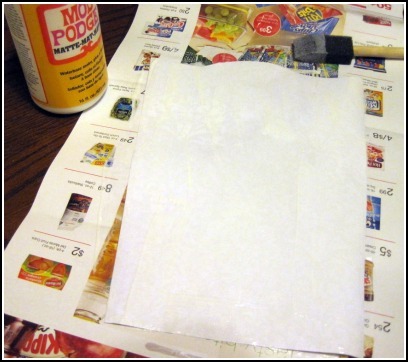 Once the paint is dry (obviously), trace the trashcan on the back of the scrapbook paper. 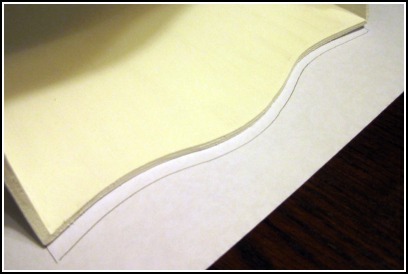 Cut out the shape plus an extra smidgen (technical measurement). 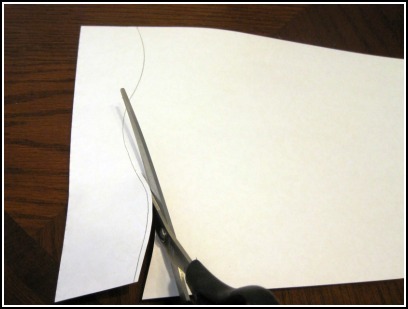 Apply Mod Podge to the trash can and the scrapbook paper. Paste that sucker on and smooth to remove any bubbles. Apply top coat of Mod Podge. Way better than anything I saw in the stores! Love this! 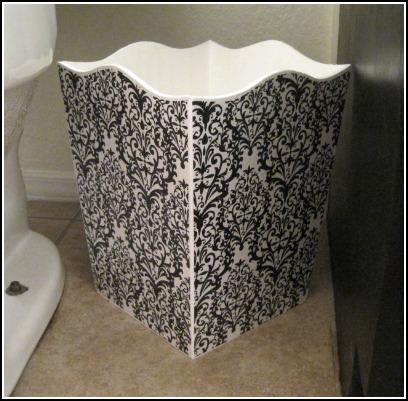 I need to do this for my plain, ugly trash can in my bathroom. It is black & white & that damask print would look so cute in there. That looks so fancy. You did a good job. what a great idea! I love the final product I am totally be scouting for a garbage can like that one to up-cycle! LOVE it! 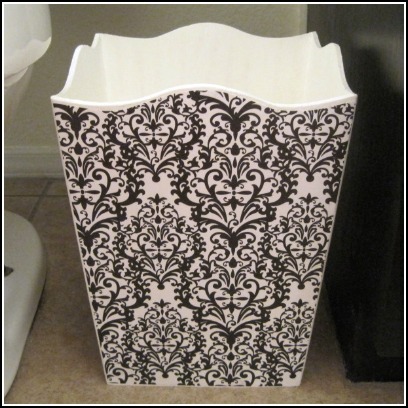 I can honestly say I have never thought about up-cycling a garbage can but really what a great way to do something trendy and fun without spending a ton to do it! So smart! Anyways I am so excited to look around your blog some more and really really huge thank you for linking up today! I am excited you might be a co-host---can't wait! I've determined that I'm okay with that! 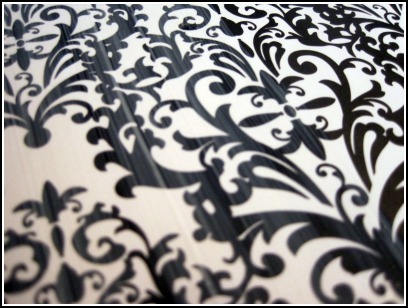 I love the damask too by the way! Yay for mod podge (or whatever it's called)! 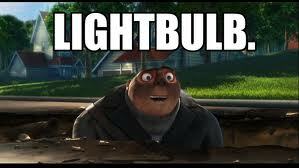 This is just great! I love the paper you chose, too! What a fun way to dress up a boring trash can. I'd love to do this! Thanks for sharing this @ Show & Share! I definitely need to do this with some ugly old trashcans in my house! I featured this on my blog today!! 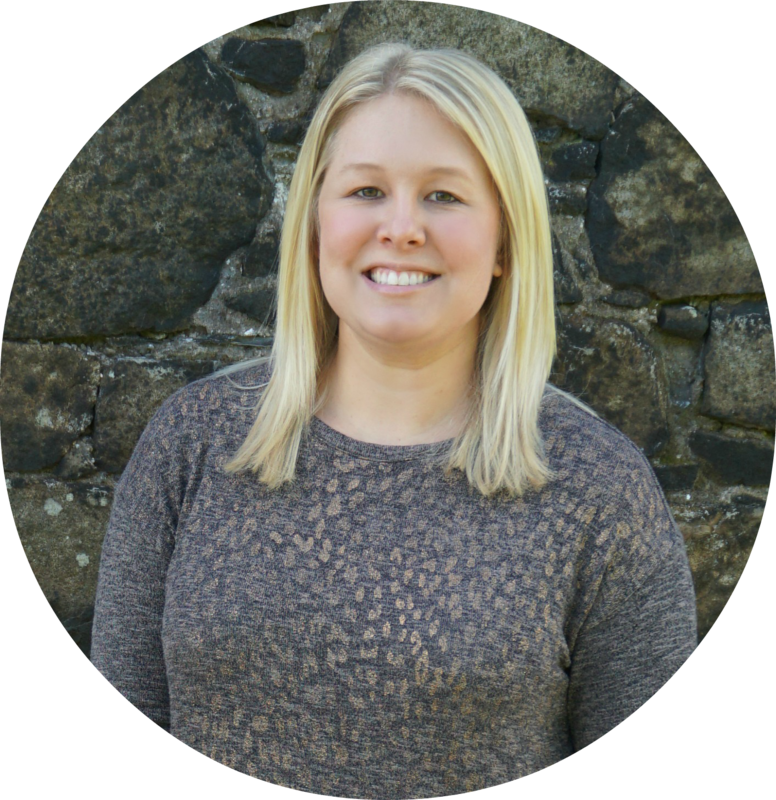 come grab a new featured button...my blog's domain name has changed!